I went to Umie Mosaic in 2017. 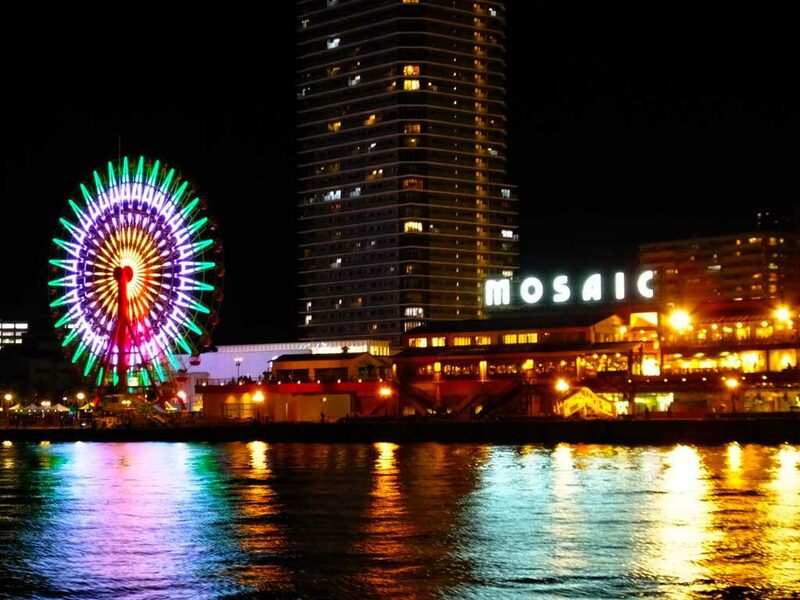 Umie Mosaic is a shopping complex located in Kobe Harborland. It is a popular spot among the locals as well as tourists. 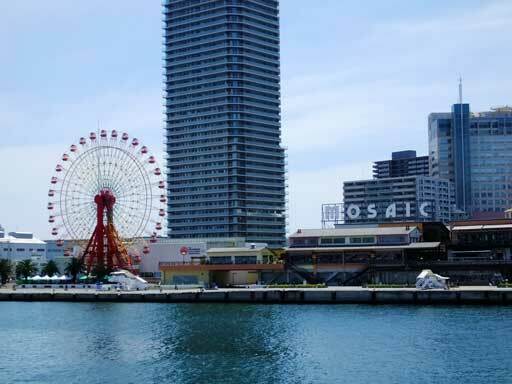 When I lived in Kobe, I used to go there on weekends. 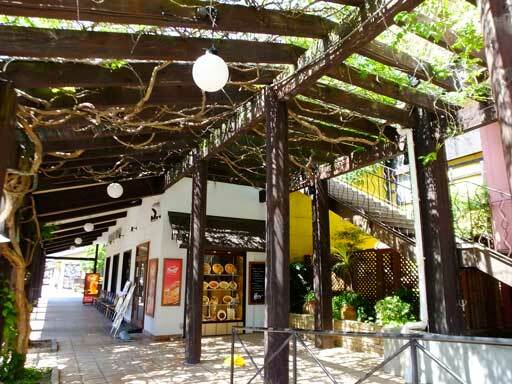 It is a lovely place for coffee, lunch or dinner as well as shopping. You can buy food and gifts for your friends, family and yourself. 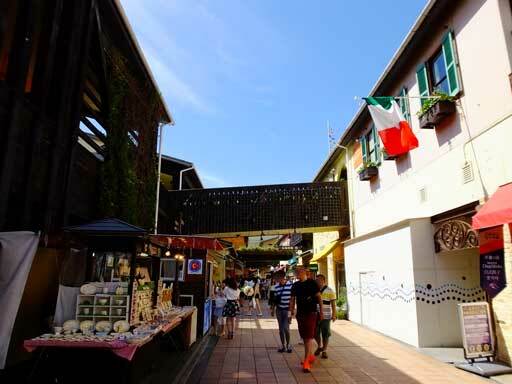 It is fun to walk around the mall that has the European atmosphere all around. 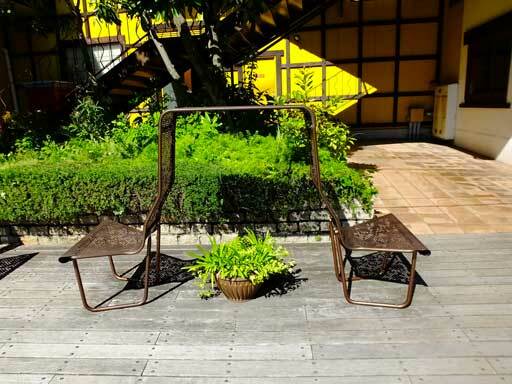 When you are tired, you can enjoy an awesome view from the wooden deck. 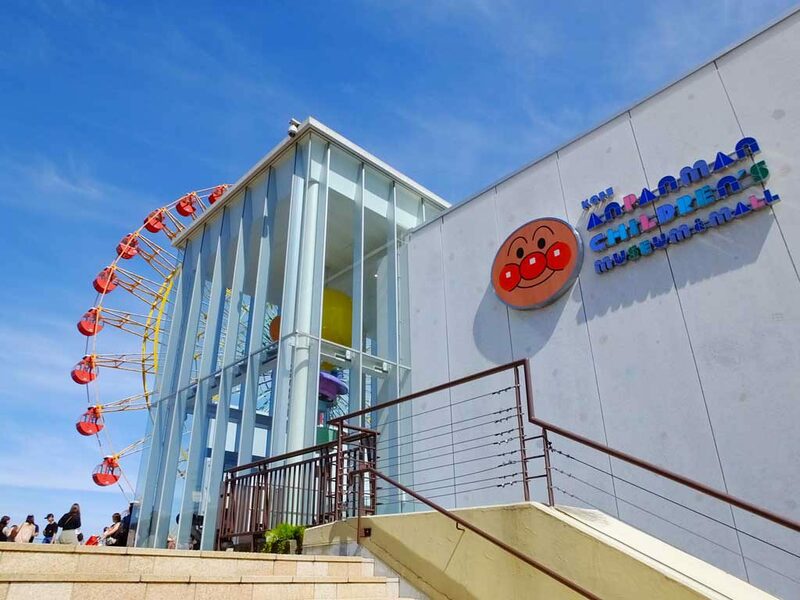 The Ferris wheel, a symbol of the mall, used to be known as a romantic spot, and it has been a wonderful attraction for children since Kobe Anpanman Children’s Museum & Mall opened behind it in 2013. When I went there in 2017, I saw several unique store displays. 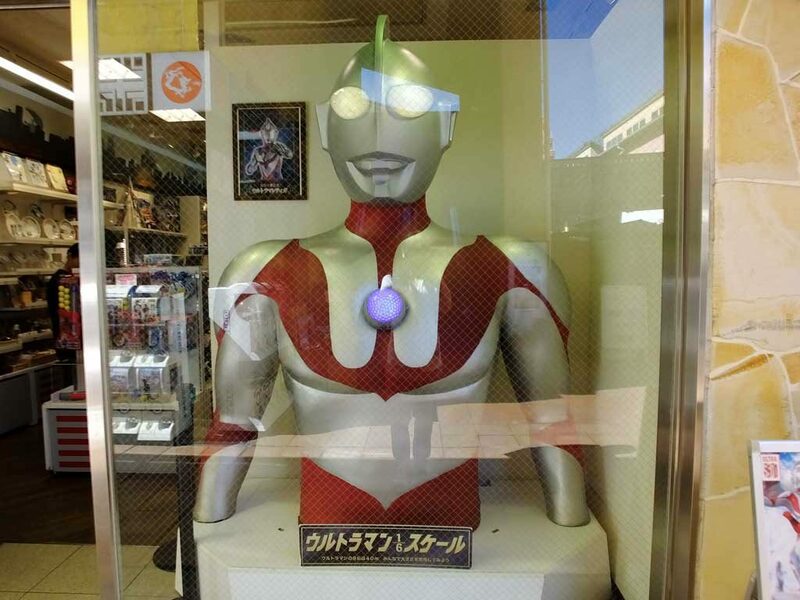 One of them is one-sixth scale figure of a Japanese superhero, Ultraman that was displayed at a store named Ultraman World M78. I heard the real Ultraman is 40 meters tall! 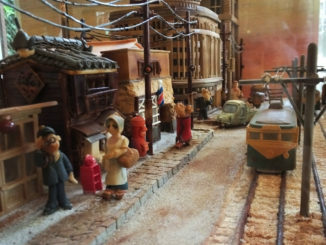 I found a fun chocolate shop, Mon Loire, too. The store itself looked like a big tree. I felt as if I were in a picture book. 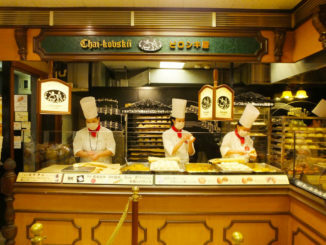 The concept of the store is “chocolate forest.” How interesting! 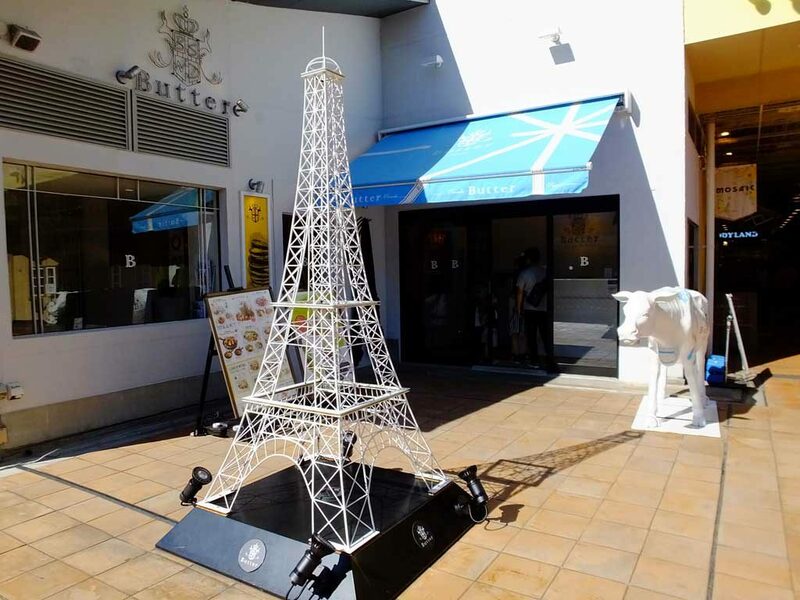 At a pancake shop, Butter, there were a white Eiffel Tower and a white cow, but what do they mean? To me it looks like that the cow is going to destroy the tower maybe because she was painted totally white and got furious! 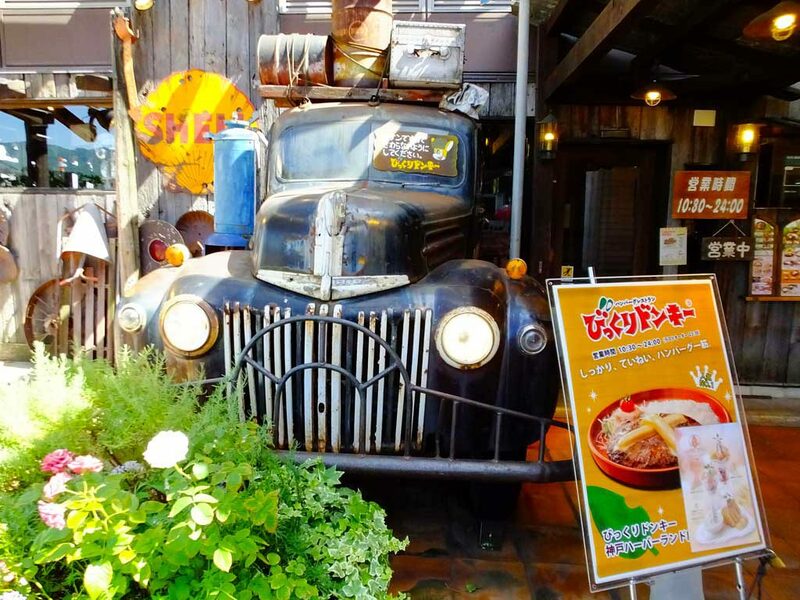 Finally, I saw an old car breaking through a wall of a hamburger steak restaurant, Bikkuri Donkey. The question is: how did the car get into the restaurant without breaking another wall? Anyway, it was a great journey to see such things. 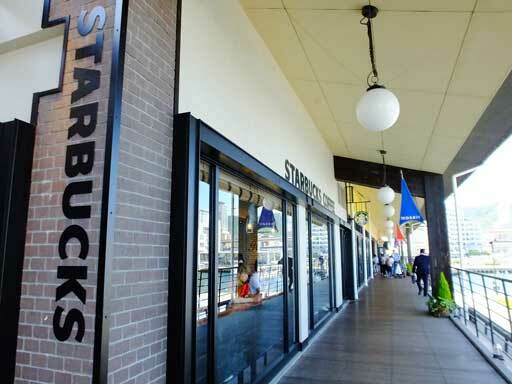 In the mall, there are stylish cafes such as Starbucks and Real Dining Cafe. They are so popular that it is always crowded, but if you are lucky, you can have coffee at a table with a wonderful water view. It is also nice that you can use free WiFi there. 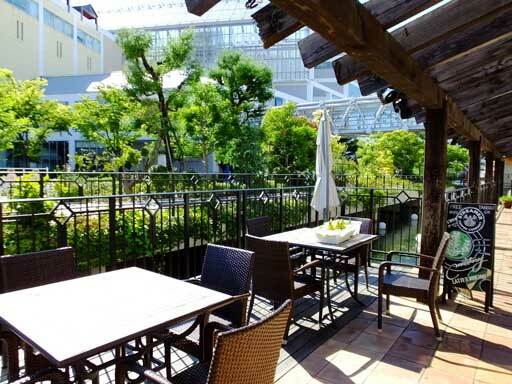 On the other side of the mall, there is a relaxing place to sit, eat and drink, too. It is nice to have coffee while looking at a small river. It is not so crowded and I like everything here. 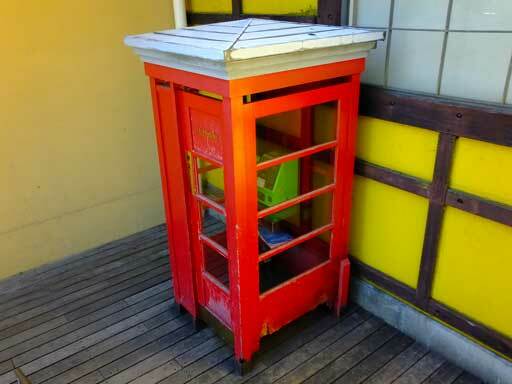 The wooden telephone booth is pretty, and the wooden pergola is old and tasty. I just wish this natural and cozy place was near my house. I would come and enjoy reading with coffee. 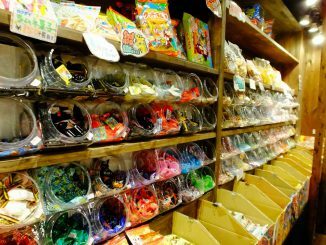 I have a good time at Umie Mosaic whenever I go there, because sometimes I can find a good gift shop, cafe or restaurant. 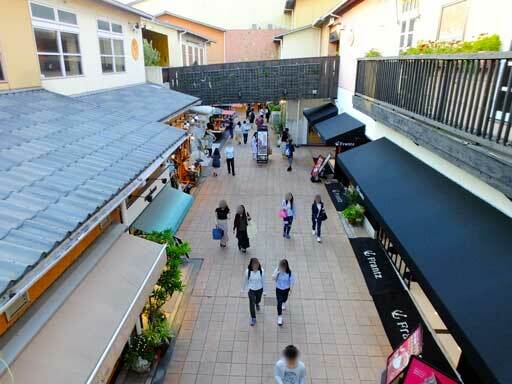 When I went there in 2017, I found some new stores including the chocolate shop, Mon Loire. Moreover, the fantastic view of the sea never makes me feel bored. 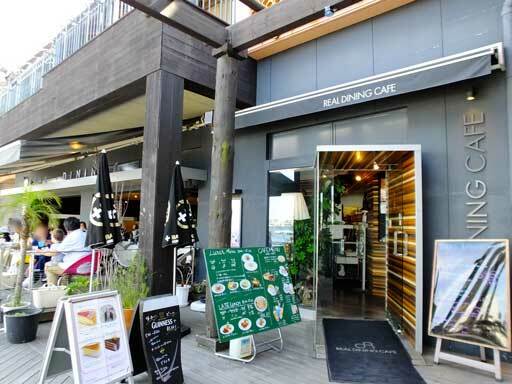 If you visit Kobe (in Hyogo Prefecture), I definitely recommend this place to you. 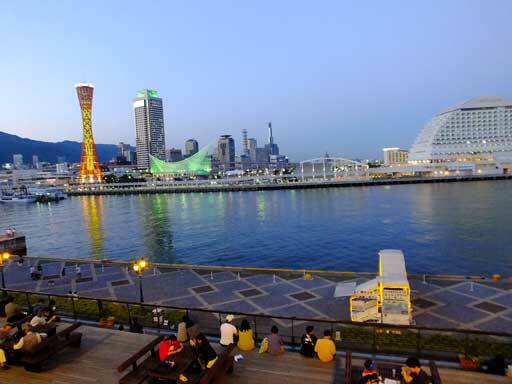 It is one of must-visit places in Kobe. 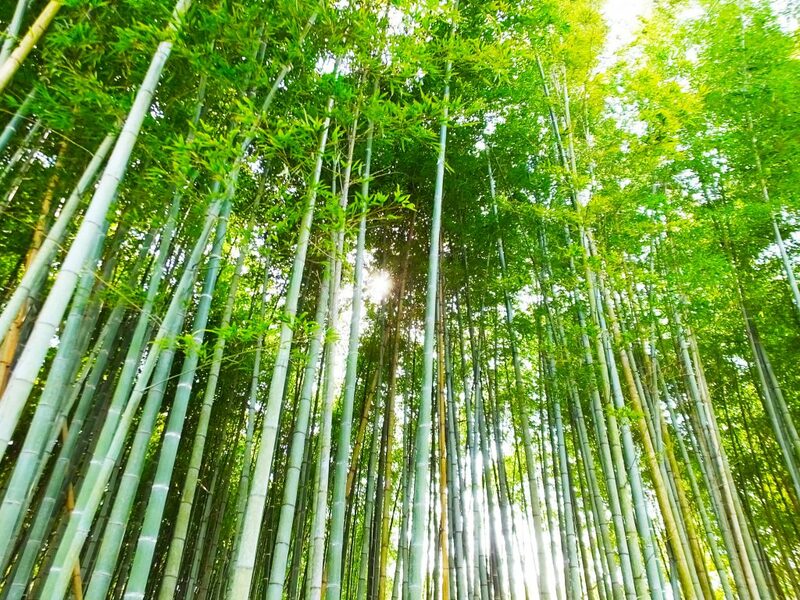 Pine, Bamboo, Crane -What Do They Have in Common?